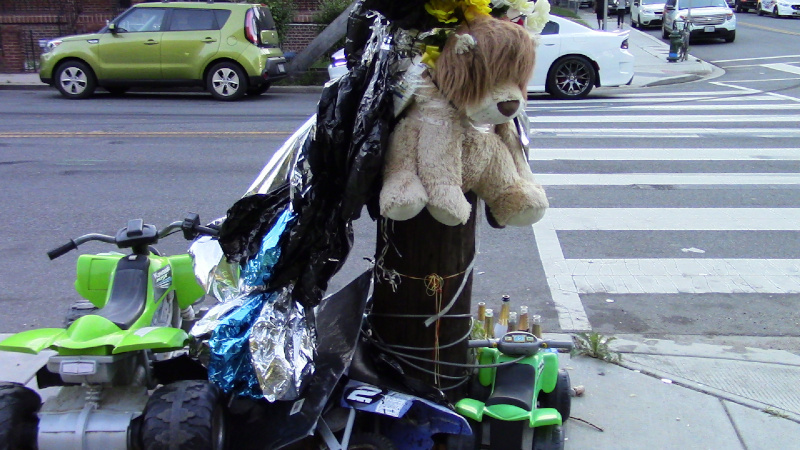 Early in May 2018, DC police escalated their war on Black youth riding dirt bikes and ATV's by killing dirt bike rider Jeffery Price in NE. 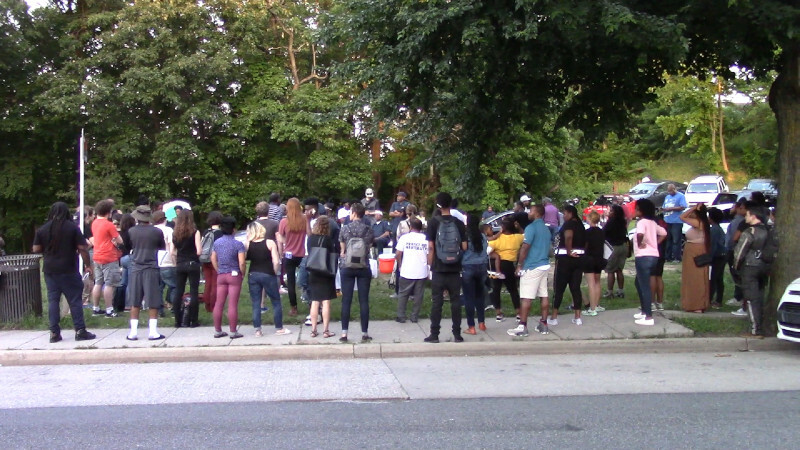 Cops chased him in violation of the city's no-chase rule, and used an SUV to force a fatal collision at Fitch Place and Division Avenue, NE On the 15th of June, community activists held a protest rally at the same location. An attorney retained by Jeff's family spoke at the protest, calling out MPD both for a pattern of unlawful violations of civil rights, and for the incredible amount of lies told by MPD officers in their failed attempts to cover up their unlawful pursuit. He stated that his experiences with cases like this one forced him to change his presumptions from presuming police statements to be truthful to presuming them to be lies. He also stated that the department-wide pattern of violations in both this and a previous case expose all of MPD and the police chief to massive civil liability. Later in the rally, a community activist familiar with the dirt bike and ATV scene spoke about a ballot initiative he is promoting that if successful would both decriminalize riding dirt bikes and ATV's in the city and require the city to permit them to be registered for entirely legal street riding. The decriminalization portion would end the power of MPD to arrest riders. The ballot initiative to decriminalize riding dirt bikes and ATV's has the advantage that it does not require the consent of pro-development City Councilmembers nor of Mayor Bowser to become law. Congre$$ can still interfere, but the Mayor's condo-building campaign contributors cannot stop it by making demands of the Mayor nor of the Council. They will have to lobby Congre$$ and openly oppose Home Rule if they want to stop dirt bike decriminalization after losing at the polls. 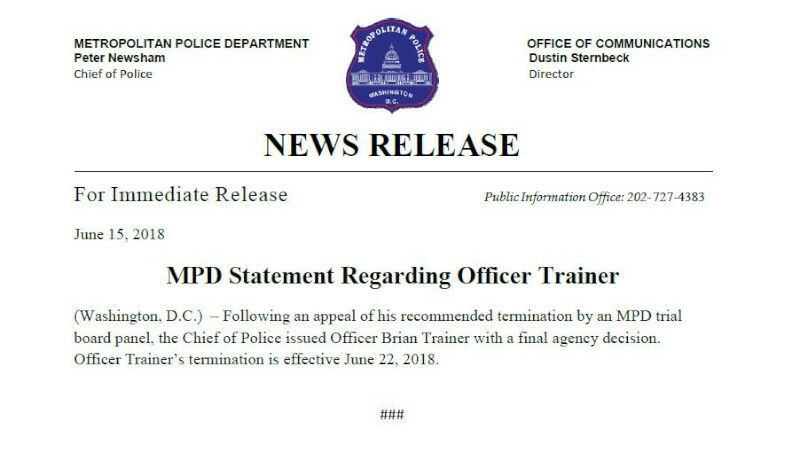 On the other hand, MPD is already prohibited from chasing dirt bike riders (or anyone else) who refuses to stop for them, and prohibited as well from using deadly force to stop people for traffic violations. MPD broke both of those laws in this case, so decriminalization will have to be followed by steps to ensure MPD does not simply turn around and resort to illegal arrests for other alleged violations to keep assaulting nonwhite dirt bike riders. As long as Newsham remains police chief this will be a danger. Police pursuits are illegal in DC, mass arrests are illegal in DC, the use of deadly force over traffic violations is illegal in DC, and racial discrimination is supposed to be illegal everywhere. Under Newsham all of these unlawful practices are being used by MPD.